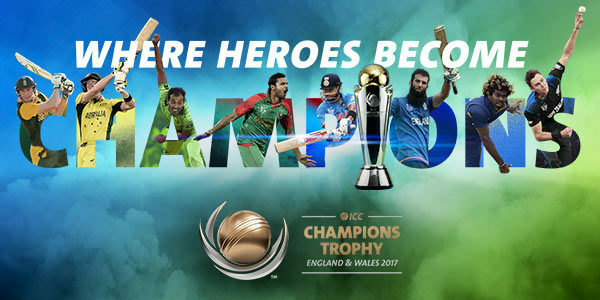 Pakistan also announced their team for ICC Champions Trophy On Tuesday. Actually 25th April was the last date for this. All countries except Team India have announced their teams. We may have to wait a few days for Team India’s squad. The reason for this is the revenue dispute with the ICC, which has not been settled yet. According to the BCCI, if the decision is not made in accordance with it, then it may think going out of the tournament. The tournament will start from June 1. Pakistan has named former captain Azhar Ali and experience batsman Umar Akmal in the squad for the 15-man squad announced on Tuesday. Wicketkeeper Sarfaraz Ahmed will be the captain of the team. Pakistan team is in Group B in Champions Trophy. Their first match is against India on June 4. Though Azhar is playing against India is doubtful because he is facing a suspension of a match. Sarfraz Ahmed (Captain), Azhar Ali, Ahmed Shahzad, Mohammad Hafeez, Babar Azam, Shoaib Malik, Umar Akmal, Fakhar Jami, Imad Wasim, Hasan Ali, Fahim Ashraf, Wahab Riaz, Mohammed Aamir, Junaid Khan and Shadab Khan. AB de Villiers (Captain), Hashim Amla, Quinton de Kock, Faf du Plessis, JP Duminy, David Miller, Chris Morris, Wayne Parnel, Andile Phehlukwayo, Kagiso Rabada, Imran Tahir, Keshav Maharaj, Dwaine Pretorius, Farhaan Behardien, Morne Morkel. Steve Smith (captain), David Warner, Pat Cummins, Aaron Finch, John Hastings, Josh Hazlewood, Travis Head, Moises Henriques, Chris Lynn, Glenn Maxwell, James Pattinson, Mitchell Starc, Marcus Stoinis, Matthew Wade and Adam zampa. Eion Morgan (captain), Moin Ali, Johnny Bairstow, Jack Ball, Sam Billings, Jos Buttler, Alex Hales, Liam Plunkett, Adil Rashid, Joe Root, Jason Roy, Ben Stokes, David Willey, Chris Woakes, Mark Wood. Kane Williamson (Captain), Corey Anderson, Trent Bolt, Neil Broom, Colin de Grandhomme, Martin Guptill, Tom Latham, Mitchell McClenaghan, Adam Milne, Jimmy Neesham, Jeetan Patel, Luke Ronchy, Mitchell Santnar, Tim Southee and Ross Taylor. Angelo Mathews (captain), Upul Tharanga, Niroshan Dickwella, Kusal Mendis, Thisara Perera, Chamara Kapugedara, Asela Gunaratne, Dinesh Chandimal, Lasith Malinga, Suranga Lakamal, Nuwan Pradeep, Nuwan Kulasekara, Kusal Perera, Seekkuge Prasanna, Lakshan Sandakan.